SHREVEPORT - Authorities have arrested a woman after she shoplifted several bottles of alcohol from a Shreveport liquor store. 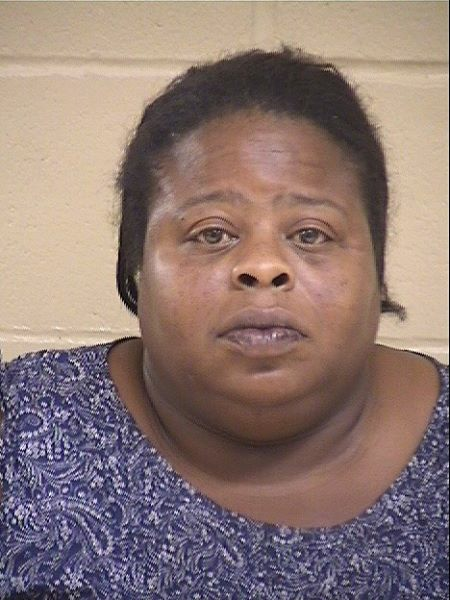 Sekonie Jones, 37, was arrested after surveillance video from her visit to the Thrifty Liquor Store in Shreveport went viral. KTBS reports that the woman made the her way around the entire store over the course of about two and a half minutes, grabbing 18 bottles of wine and hard liquor and stuffing them inside her purse, bra and even the crotch area of her pants. The video went viral over the course Wednesday, garnering national attention. Store security video also showed Jones taking a single bottle of wine to the register and handing it to the clerk. Another woman also reported stood watch at one point before following the Jones out the door. Police say Jones turned herself Thursday afternoon and was charged with one count of misdemeanor theft.